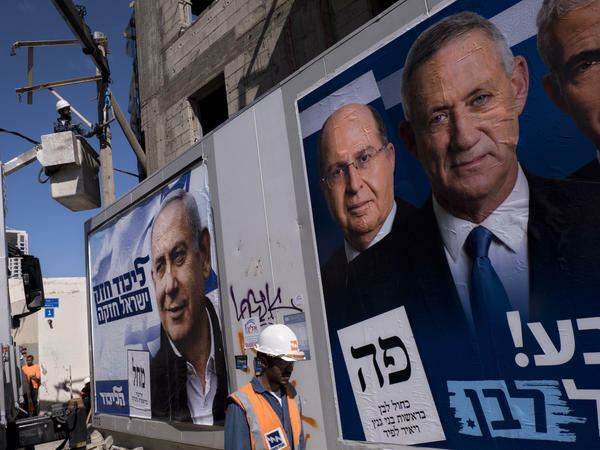 The election that is largely seen as a referendum on Israel's longtime right-wing leader, Benjamin Netanyahu. He faces a serious challenge from relative political newcomer Benny Gantz. Both leading candidates have claimed victory. The prime minister and Trump ally, who could become Israel's longest-serving leader if he secures another term, is facing corruption allegations. Netanyahu has spent the last 10 years in power, and also led the country for three years in the late 1990s. Polling stations closed on Tuesday at 10 p.m. local time, or 3 p.m. ET. Initial exit polls released by Israeli TV stations were not consistent on which candidate's list was leading. Still, Netanyahu and Gantz both say they have won. "The right-wing bloc led by the Likud won a clear victory," Netanyahu said in a tweet. "I will begin forming a right-wing government with our natural partners this very evening." A spokesperson for Gantz's alliance said, "We won. The Israeli public has had their say," as Reuters reported. The performance of other, smaller parties may give Netanyahu an edge in forming a government. As Haaretz reported, "The bloc of right-wing and religious parties had a small majority over the center-left opposition." But at the same time, the newspaper added: "Nothing is certain and the polls are questionable anyway." Netanyahu's party deployed some 1,200 hidden cameras to monitor Arab voters, according to Israeli media, which the party said is aimed at preventing election fraud. "Arab parties claim it's a move to intimidate Palestinian Arab citizens of Israel," Estrin reported. "The election commissioner has moved to limit but not completely ban the practice." Haaretz reported that Tuesday's poll saw "particularly low numbers" among Arab voters.